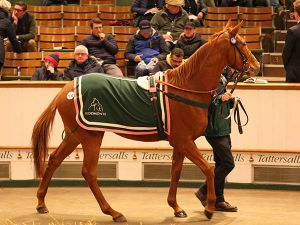 The third day of the Tattersalls December Mare Sale continued strongly with PRESIDING OFFICER from the Juddmonte Farms draft topping proceedings at 325,000 guineas. A total of 183 lots made 6,519,200 guineas at an average of 35,624 guineas and a median of 19,000 guineas taking the two week December Sale turnover passed 100 million guineas. The Juddmonte draft is always a highlight on the third day of the Tattersalls December Mare Sale and this year proved no different with the 30 fillies offered selling for 2,382,800 guineas. They included seven of the top ten lots for the day including PRESIDING OFFICER, knocked down to James Delahooke on behalf of US-based Pursuit of Success LLC for a session-topping 325,000 guineas. The well-related three-year-old daughter of BEAT HOLLOW is an own sister to Group 1 Prix Marcel Boussac winner PROPORTIONAL as well as Group 3 Park Express Stakes winner VOTE OFTEN. PROPORTIONAL is also the dam of the Listed winner VARIABLE as well as the Dermot Weld-trained two-year-old CONTINGENT, a son of FRANKEL and a winner of his only start since the catalogue was printed. "We are hoping that Contingent comes out and is successful next year - that's the hope," said Delahooke. "This filly will probably stay in Europe." Another eye-catching filly from the Juddmonte Farms draft was MEDIA MISCHIEF who was purchased by Reiley McDonald, signing under Mercer Bloodstock, for 250,000 guineas. The three-year-old daughter of Kentucky-based sire INTO MISCHIEF is out of the Grade 2 Buena Vista Stakes winner MEDIA NOX and is a half-sister to NEBRASKA TORNADO, winner of both the Group 1 Prix de Diane and the Group 1 Prix du Moulin de Longchamp. MEDIA MISCHIEF is also a sister to the Group 2 winning BURNING SUN as well as dual Group 3 winner MIRABILIS, the dam of the Group 3 winning son of FRANKEL, MONARCHS GLEN. "She is very pretty mare, I'll take her back to the US, breed her well and hope to get some runners! I don't have any breeding plans yet, but she has a very American page. I think she was good value." QUEBEE, the Listed winning daughter of SIR PERCY, was the third highest priced lot on the Thursday of the Tattersalls December Mare Sale making 200,000 guineas when knocked down to Suzanne Roberts who was standing with John and Peter Fagan of Deerpark Stud. The Clive Cox-trained filly won four times as a three-year-old, including the Listed Fortune Stakes at Sandown, and hails from the family of Group 1 Prix Jean-Luc Lagardere winner and exciting sire WOOTTON BASSETT. "The filly had ability, but picked up a little injury after her Listed win and was never quite back to herself,” said Roberts. “She has a great outcross pedigree and could visit any stallion - we have not got anything in mind yet, we'll sit and deliberate." “We are looking to buy nice mares." 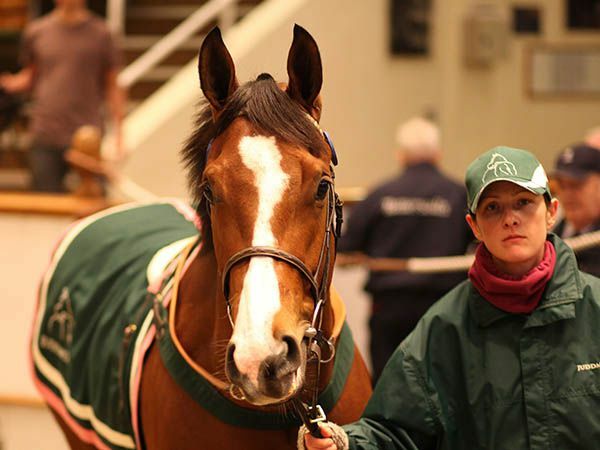 The Juddmonte draft was responsible for nine of the 16 lots which realised 100,000 guineas or more and included two three-year-old daughters of FRANKEL, ELPHIN and FRIMA, who both sold for 180,000 guineas. 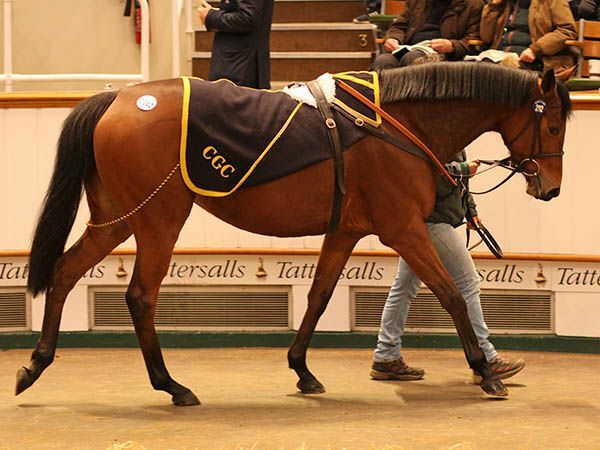 John Clarke purchased the second daughter of FRANKEL to make 180,000 guineas, ELPHIN who is a sister to Group 1 Matron Stakes winner EMULOUS. "Ownership plans for her have not yet been decided, but she will be retired and will go to Ireland," said Clarke. "She is a lovely mare with a fabulous page and with plenty to run for her." 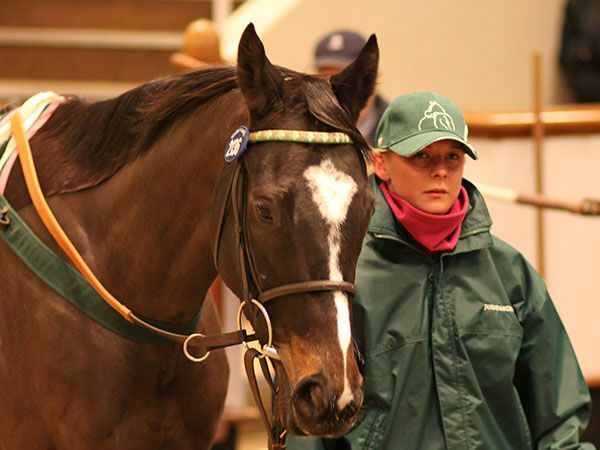 The Tattersalls December Mare Sale continues at 9.30am on Thursday, December 7th.